Many students have a TOEFL speaking journey to talk about. Every TOEFL speaking journey is different. In particular, Tomas would experience many twists and turns along the way before he would reach his required subtotal score of 26 points on the speaking section. Tomas had always wanted to become a pharmacist. He also wanted to work in the United States since the pay for this job was so lucrative. Therefore, after finishing pharmacy at Claremont College in Pomona, California, he applied for and was granted a work visa so that he could stay here. The only obstacle in his way was the TOEFL exam. 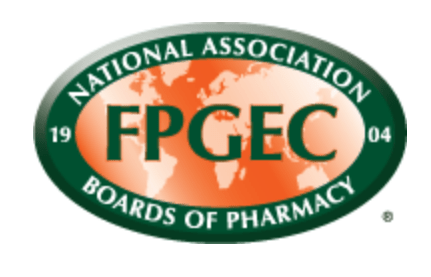 Tomas went to the National Association for the Boards of Pharmacy web site to review the standards. A the web site, Tomas reviewed the subtotal requirements for the TOEFL exam: Reading–22, Listening–21, Speaking–26, and Writing–24. The overall TOEFL score of 93 did not seem that difficult at all. Tomas had watched You Tube videos of students who had scored higher than 100. He had read posts in Social Media of students who had reached 26 and 24 on the speaking and writing sections of the exam. TOEFL Speaking Journey: Tomas takes the TOEFL iBT for the first time. TOEFL Speaking Journey: Tomas takes the TOEFL iBT for the second time. TOEFL Speaking Journey: Tomas takes the TOEFL iBT for the third time. TOEFL Speaking Journey: Tomas takes the TOEFL iBT for the fourth time. TOEFL Speaking Journey: Tomas takes the TOEFL for the fifth and last time. Since Tomas had already been using English in his academic classes at Claremont University, he immediately registered to take the TOEFL exam. How hard could it be? Many other students have reached their desired TOEFL scores, and so could he, Tomas thought to himself. Two weeks later, Tomas took the TOEFL exam. He was shocked at the difficulty of the speaking and writing sections. During the speaking tasks, he was irritated that he only had 15, 20, and 30 seconds of preparation for the tasks. In addition, he had never recorded his voice before, so he was very uncomfortable speaking into a microphone. Lastly, he could not come up with any specific details for the independent writing task. About three weeks later, he got his TOEFL score report sent to him by e-mail: Reading–21, Listening–18, Speaking–23, and Writing–21. Tomas looked at his score report in disbelief. Why did be score so low when he already had been speaking and studying English for so many years? Tomas had not really prepared very well for the TOEFL exam on his first try. Therefore, this time he bought some study materials from Educational Testing Service. First of all, he completed the free TOEFL iBT Online Preparation course. During this course, he became more familiar with the different sections of the exam. For example, he learned the different kinds of reading, listening, speaking, and writing question types. He also learned what type of strategies he needed to use to answer these types of questions. Second of all, he completed some full-length TOEFL iBT practice tests so he could practice what he had been learning. After a month of so, Tomas felt he had made the improvements necessary to reach his desired subtotal scores. Finally, he registered again to take the TOEFL exam, this time scoring 23, 21, 23, and 21 on the reading, listening, speaking, and writing sections. Tomas had improved slightly on the reading and listening sections. However, his subtotal scores remained the same on the speaking and writing sections. This fact frustrated Tomas to no end. At this point, Tomas was very familiar with the format of the TOEFL exam. Hence, he did not need to re-take ETS’s Online TOEFL Prep course. Instead, he went to You Tube and started watching videos on how to improve his speaking and writing score. He even found some TOEFL speaking and writing templates on the Internet. He memorized the templates and used them as he did some self-study speaking and writing practice. Eventually, after about 3-4 weeks, Tomas became very comfortable using the templates. As a result, he re-registered to take the TOEFL iBT exam. He felt that he had much better control over the structure of the writing and speaking tasks. However, after getting his TOEFL score report back, he started to lose confidence in his English proficiency abilities. He scored 23, 22, 22, and 21 on the reading, listening, speaking, and writing sections. He had difficulty accepting the reality that he had made no improvements in the speaking and writing sections. In fact, he had paid an additional $120 to have the speaking and writing scores reviewed by ETS. However, his revised scores came back exactly the same as the original ones. Tomas was dumbfounded. Nevertheless, Tomas was not willing to give up on his dream to become a pharmacist. He had spent too much time, effort, and money on his dream career. Furthermore, Tomas wanted to spend his life in the service of others in the medical career. He would not give up on his dream. He thought about what he could do differently in his studies for different results. He had heard that there were other Online TOEFL Courses on the Internet that might help him with his speaking and writing problems. Most of these courses cost a lot, but he found a course called Magoosh that offered 1-Month of instruction for a fairly low price. The course had more than 330 TOEFL practice questions. This was much more than what the free ETS Online TOEFL Course offered. Thus, he began going through the course. He learned as much as he could during the 30 days that he had. The only drawback to the course was that he could not send any pronunciation, speaking, or writing practice to any TOEFL mentors. Nevertheless, he was speaking English a lot and reading many TOEFL passages. Tomas was indeed much more confident this time around, so he registered to take the TOEFL exam one more time. A few weeks later, Tomas got his results sent to him. Before reading the e-mail, Tomas prayed that his subtotal speaking scores would be better. Then, after a few deep breaths, Tomas clicked on the email to see his results: 24–reading, 23–listening, 23–speaking, and 22–writing. Tomas was utterly devastated. He had not scored 26 on speaking nor had he scored 24 on the writing section. Immediately, Tomas shut down his computer and went for a drive in his cherry red 2018 turbo-charged Mustang GT. That night he reached speeds of 100+ miles per hour. He questioned his life. He questioned his very existence. He could not understand why he was scoring so low on the speaking and writing sections. How would he able to become a pharmacist if he could not clear his pharmacy credentials? Two weeks passed and Tomas began to accept that he would only be a pharmacy technician. His job become monotonous and unsatisfying. Each day that Tomas showed up for work at Walgreen’s pharmacy, he felt he was moving farther away from his goal. One night he turned on his computer and typed in the key words TOEFL Speaking and Writing Mentor. Tomas watched part of a 56 minute video from Michael Buckhoff, who was providing speaking and pronunciation feedback to students enrolled in his Online TOEFL Course “The 7-Step System to Pass the TOEFL iBT.” Tomas also found out that Buckhoff provided writing feedback to those students enrolled in his course. Tomas had studied diligently over the last few months. Still, he had not reached his goal on the speaking and the writing sections. During his study, he had never thought to consult a speaking or writing mentor to help him address his issues. Could it be that simple? With a renewed sense of purpose, Tomas e-mailed Buckhoff at mbuckhoff@aol.com. In the e-mail, Tomas told Buckhoff his current subtotal scores and desired scores that he needed. About a day later, Buckhoff e-mailed Tomas. In the email, Buckhoff recommended his TOEFL Speaking and Writing Boot Camp courses, which, according to the mentor, would help Tomas reach his target scores. Daily speaking + audio and video feedback helped Tomas to improve his language use and topic development. Dozens of speaking and pronunciation lessons helped Tomas address his specific weak points. Video correction of an independent writing task showed Tomas what changes he needed to make in his writing to score 30/30 points. Video correction of an integrated writing practice test explained what changes Tomas needed to make in order to score 30/30 points. Daily writing practice + feedback helped Tomas to strengthen the polish, structure, and development of his ideas. More than 40 writing lessons helped Tomas address his weak points. After about two months of getting speaking and writing practice with Buckhoff, Tomas decided to take the TOEFL exam a sixth time. Tomas felt confident since he was regularly scoring 26+ and 24+ on his speaking and writing practice tests. Two weeks after having taken the exam, Tomas got his score report in his email box: 23–reading, 22–listening, 28–speaking, and 29–writing. He was so excited he teared up. He thought about all the corrections he had had to make with his bilabial and alveolar consonants. He remembered all the verb tense and point of view errors that he had made on the dozens of speaking and writing practice tests that he had sent his TOEFL mentor. It was not easy being corrected by a TOEFL professional like Buckhoff, especially since Buckhoff had been so direct in his corrections. Then, Tomas smiled at the speaking subtotal score of 28. He also was happy with his score of 29 on the writing section. Most importantly, Tomas was happy that he had improved his speaking and his writing skills that would benefit him in his first job as a registered pharmacist in the United States.